A roadworthy certificate is necessary for the state of Victoria when a vehicle is sold or re-registered. This certificate proves that your vehicle is in good working condition and is safe to be used on the road. Before the certificate can be issued, the vehicle will be inspected to ensure that it meets the regulations set out by VicRoads. Here, at Continental Murrumbeena, we will inspect your vehicle and help you get the roadworthy certificate with minimum fuss. Once we have completed the inspection, we will give you a detailed written report on the exact condition of your vehicle. Our car mechanic keeps you informed of the car repairs and replacements necessary to make your vehicle roadworthy. During the inspection, we will pay close attention to detail, ensuring that the vehicle is free from deterioration, wear & tear and other hazards that make it insecure for normal use. We are licensed and certified to perform the vehicle inspection. We strictly adhere to the rules and regulations set out by VicRoads. We are equipped to work on all modern Asian, Japanese & European models. We have a complete checklist for roadworthy inspection. If you require a roadworthy certificate, give us a call at (03) 9579 0007. 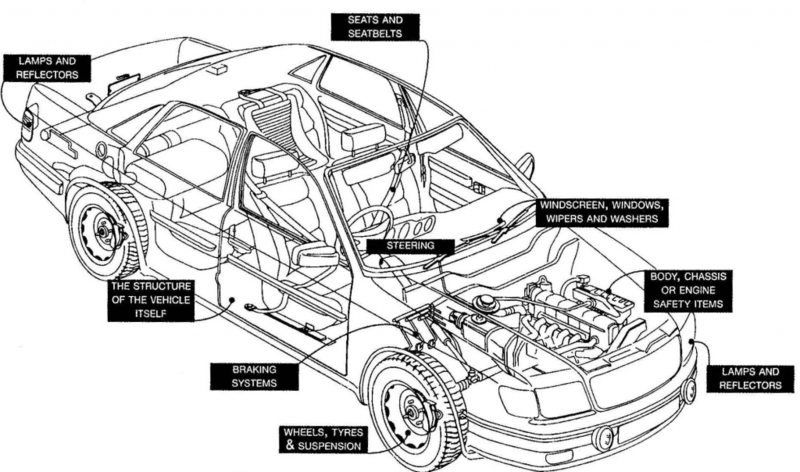 We will inspect your vehicle and make sure everything is acceptable with your car. Our service areas include Murrumbeena, Hughesdale, Malvern East, Chadstone, Oakleigh, Bentleigh East & surrounding suburbs.